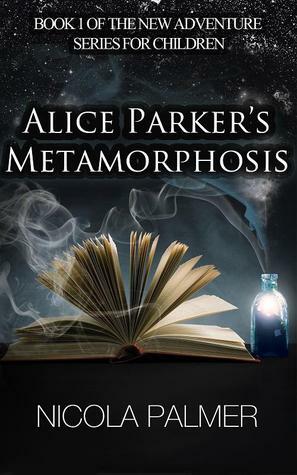 Thanks to author Nicola Palmer for providing me a copy of Alice Parker’s Metamorphosis this week. I’ve really enjoyed reading this fun, fantasy story about feisty thirteen-year-old Alice. This is a really well-written book, perfect for the target ‘middle grade’ audience of 7+, with strong, defined characters who are both funny and believable. The relationships in the story feel genuine, especially between Alice, her brother and best friend. I really enjoyed the early scene-setting at Alice’s school – certainly brought back some memories 🙂 – and once you get the big reveal about Alice’s recent issues, the story transitions to an action-mystery. Thirteen-year-old Alice Parker knows something isn’t right. Aches and pains have started, she hardly sleeps and her craving for fruit is out of control. Suddenly she is top of the class in every subject. Feeling at odds with the world and being bullied by the ‘coven’ at school, Alice can’t take much more. Only when she collapses and experiences a life-changing transformation does she learn why she is different. But with this new identity comes responsibility and Alice isn’t convinced she can rise to the challenge. She just wants to be normal! The fact is she’s anything but. This entry was posted in Reviews and tagged adventure, alice parker, alice parker's metamorphosis, childrens book, fantasy, middle grade, nicola palmer, review. Bookmark the permalink. ← Guest Post…Where do you get your ideas? Thanks for posting the review Mel!